These are two variations using my QAYG template. 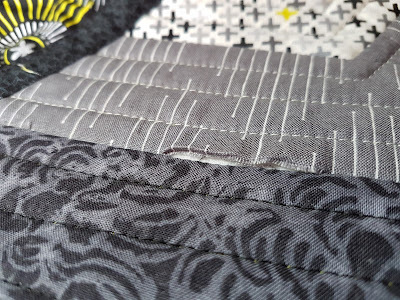 The white background quilt has been my main class sample. During my classes we have played around with layouts using students blocks. 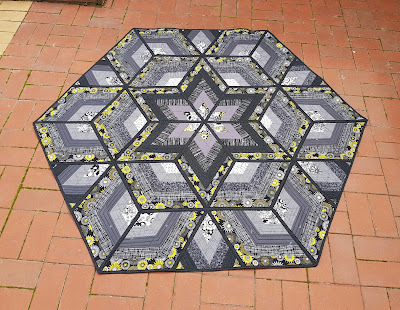 I finally have put together another variation in the greys. For those of you who have attended my previous QAYG classes, you can use the same templates but instead of laying the first piece at the bottom of your diamond batting/backing, you place it on the side of the diamond. My grey quilt isn't finished although I have sewn on the binding. 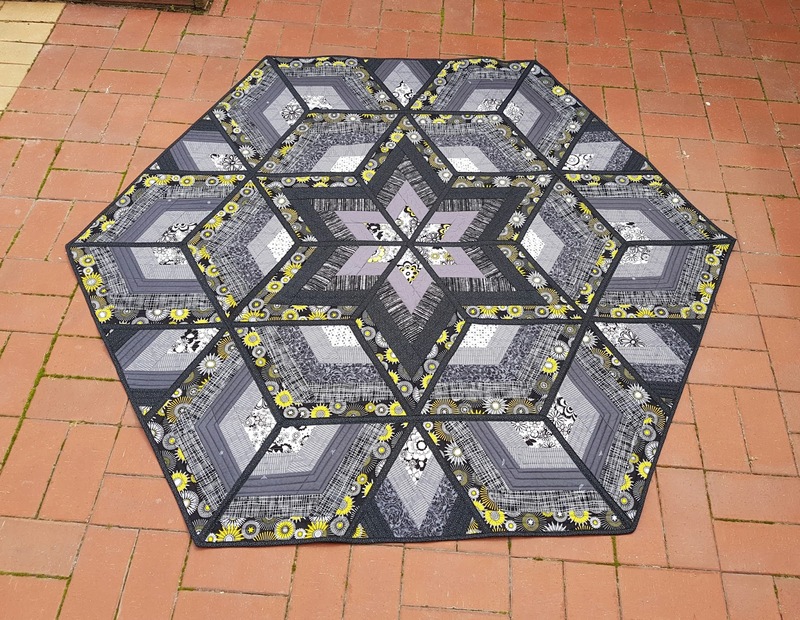 In the future I will eventually square up the sides to create a more functional quilt but for now its an ok size and weight to travel to Christchurch for my QAYG 2017 symposium class. One of the major hiccups when creating QAYG blocks is demonstrated below. See even I do it!! 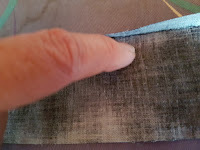 - Sew without checking the previous seam has been sewn in correctly. There is no getting around this. I took out the block and unpicked it. 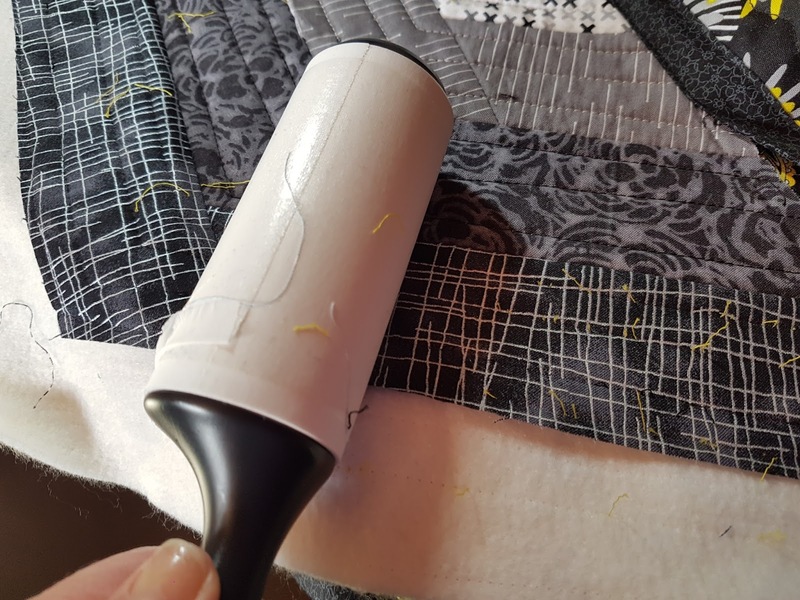 Here are two tips I hope you will find useful when unpicking and recreating your block. 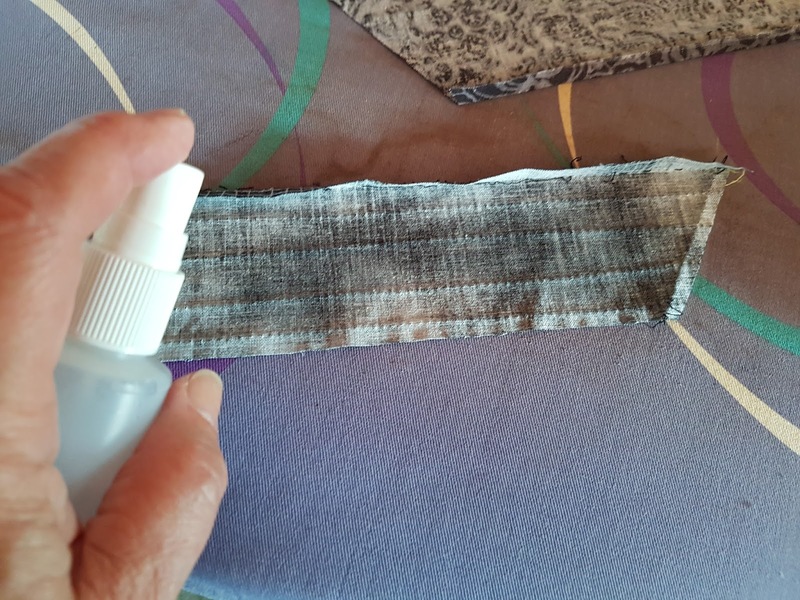 Use a lint roller to help pick up your unpicked threads. Close your sewing holes by lightly spraying water onto your fabric, then gently rubbing with your finger making sure you don't warp any bias edges. Finally iron dry. I have been focused on finishing a knitted blanket which needs to be completed this week. Will post you the photos soon.